According to Henry Porter Andrews on page 614 in "The Descendants of John Porter of Windsor, Connecticut, 1635-39 (published 1893), Margery is possibly a sister to Joseph Hill, a son of George. In 1908, Thomas Hills published "A supplementary record connecting with the Hills family in America" which lists on pages 26 and 27 the baptisms of George's children at Great Burstead. One baptism is for his daughter Martha on 16 JUN 1610. It is this baptism that everyone is using to link Margery to George. Whether or not Margery and Martha is one and the same, I have found nothing to either prove or disprove it. So until other evidence is found, I believe Margery's father is still officially unknown. 1 Find A Grave, (accessed 11/23/2012). 4 New Haven, CT: Families of Ancient New Haven, Vol. 7, p. 1549, New England Historic Genealogical Society (Online Database). 5 Brookfield, Henry Morgan, Twelve Generations in America, Rutland, Vermont: Tuttle Publishing Company (1937), 153. 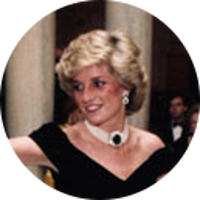 6 Evans, Richard K., The Ancestry of Diana, Princess of Wales , Boston: New England Historic Genealogical Society (2007), 217. 7 Jacobus, Donald Lines, Families of Ancient New Haven; originally published as New Haven Genealogical Magazine, (Online database. New England Historic Genealogical Society, 2008), 1549. 8 Lester, J. William, The Lesters: A Brief History and Genealogy of the Lesters of Massachusetts and Connecticut Colonies, Gary, Indiana: Calumet Press (1926), 19. 9 Morgan, Appleton, A History of the Family of Morgan, from the Year 1089 to Present Times, New York: For Subscibers only (1902), 105, Internet Archive (Digital Library). 10 Morgan, Nathaniel H., Morgan Genealogy: A History of James Morgan, of New London, Conn., and His Descendants; From 1607 to 1869, Hartford: Press of Case, Lockwood and Brainard (1869), 22-23, Google Books (Digital Library). 11 Roberts, Eloise, M., Some Colonial Families: Avery, Brewster, Mills, Morgan, Smith, Starr, Stewart, Tracy, Avard, Oklahoma: Privately Printed (1926), 36. 12 Roberts, Gary Boyd, Notable Kin, Volume 1 , Santa Clarita, California: Carl Boyer, 3rd (1998), 222. 13 Roberts, Gary Boyd and William Addams Reitwiesner, American Ancestors and Cousins of The Princess of Wales, Baltimore: Genealogical Publishing Co., Inc. (1984), 30, Ancestry.com (Online Database). 14 Roberts, Gary Boyd, comp., Ancestors of American Presidents , Boston: New England Historic Genealogical Society (2009), 573. 15 Wheeler, Richard Anson, History of the Town of Stonington, County of New London, Connecticut, From its First Settlement in 1649 to 1900, New London, Connecticut: Press of the Day Publishing Company (1900), 479, Google Books (Digital Library).